Cucumber mint flavor offers refreshed feelings. The cool and fresh taste keeps you needing some more. You may want to try this interesting flavor in candies making, drinks and beverages. 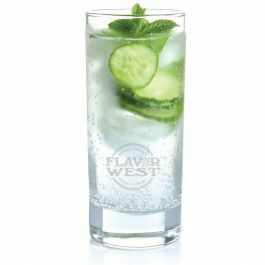 Type: cucumber mint water soluble flavoring. Ingredients: Natural and artificial flavoring, propylene glycol and alcohol. USP Kosher Grade Flavoring. Usage Rate:15-20% for E-use. Flavor Suitability: Drinks and beverages, desserts, pastries, candies, lip balm and more. Specific Gravity: .94 No Refunds on Flavoring. This has been my favorite go-to flavor for months now. I'm looking to try something new, but I still find myself back here at cucumber mint. Love it!